I think it would have made a great story material. Beauty, madness, love, amazing talent, grace, icon -- all these and more rolled into one. It would be a tour-de-force acting for the actress who could be chosen to play Vivien Leigh. No one in my opinion has come close to her fragile, porcelain-like beauty. And perhaps like porcelain she did break when subjected to years of hard work. It is said that many regret she took on "Streetcar Named Desire" because Blanche Dubois was so close to home. In "Elephant Walk" she is replaced by the young Elizabeth Taylor when Vivien was unable to continue because of her manic depression. During those times, shock treatment was said to be one of her most despised remedies to control the extreme mood swings. The fact that there could never be an actress who could play Scarlett better than she did -- and perhaps a present day actress who could play her with great accuracy and believability -- makes this but a big dream. 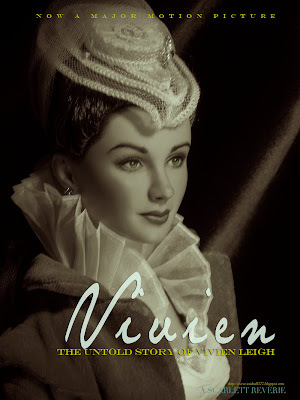 Her legend lives on though in Gone with the Wind, and even in the dolls made in her likeness. That is perhaps the only way the story goes on.